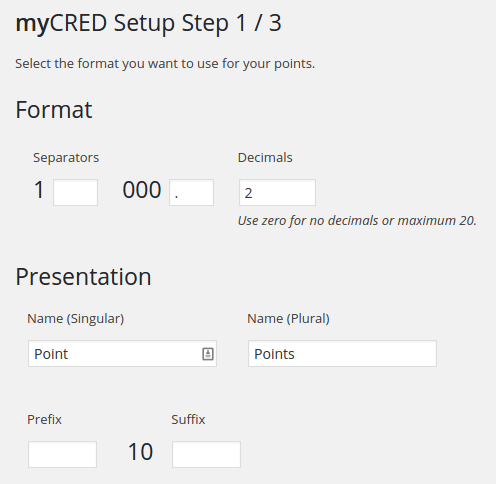 Did you have any trouble to gamify WordPress with myCRED? Bringing visitors to a website is relatively easy. There are a lot of ways to drive traffic; some of them are free, such as posting on social media. And there are also paid advertisements, like Facebook ads and Google Adwords. The real challenge is having those visitors read more than one pages on our website and also have them return in the future. Driving traffic can be expensive and time-consuming; if it is only for one page and for one time, it isn't worth it. 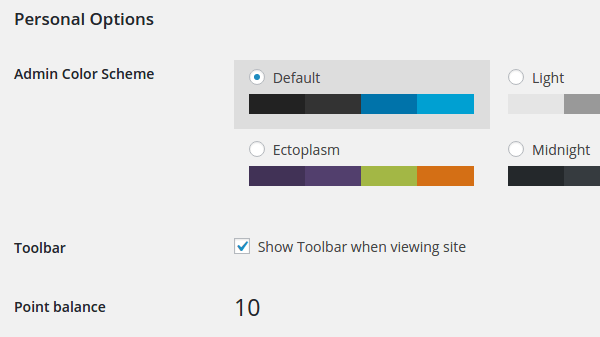 Gamifying WordPress gives each visitor a motivation to engage more with our website, by earning points for their browsing. 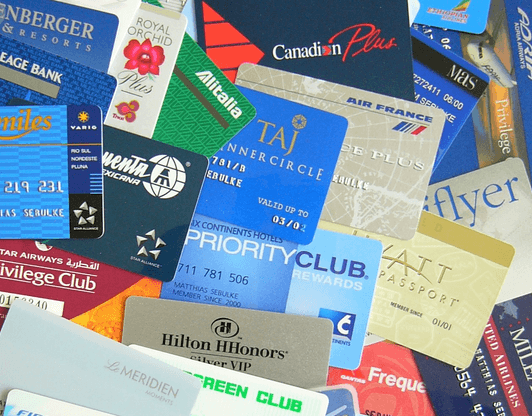 It's no different that what supermarkets are doing all over the world, with their loyalty programs, or airlines with their frequent flier miles. 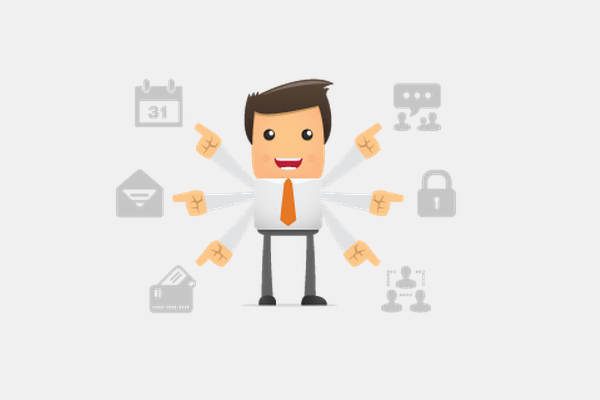 If implemented correctly, a gamification system can have a tremendous impact on our site. Up until a couple of years ago, there were more than a dozen free plugins to gamify WordPress. Nowadays, however, many of them are abandoned by their creators. 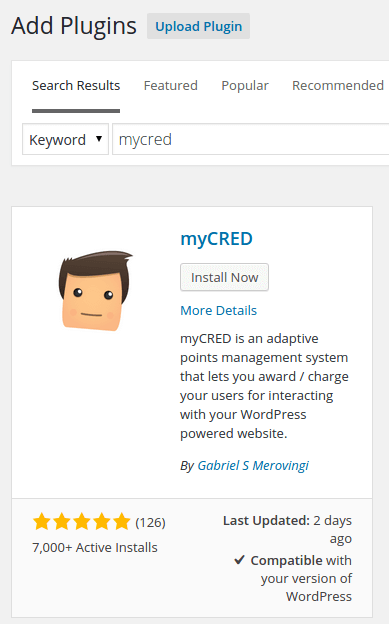 Fortunately, one of the best plugins to gamify WordPress, myCRED, is still available and under active development. ...search for it by name, and click on "Install Now". 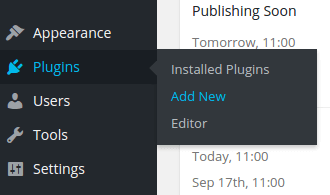 After the plugin is installed, we will get a notification on our Dashboard. We just need to click on "Run Setup". The setup is fairly easy. We just select some options about the points, such as the thousands and decimal place separators, whether we want decimals and how many, and how will the points be named on our website - in case we want to call them anything else, like "Karma". After the installation, we will find the new myCRED option on the menu. 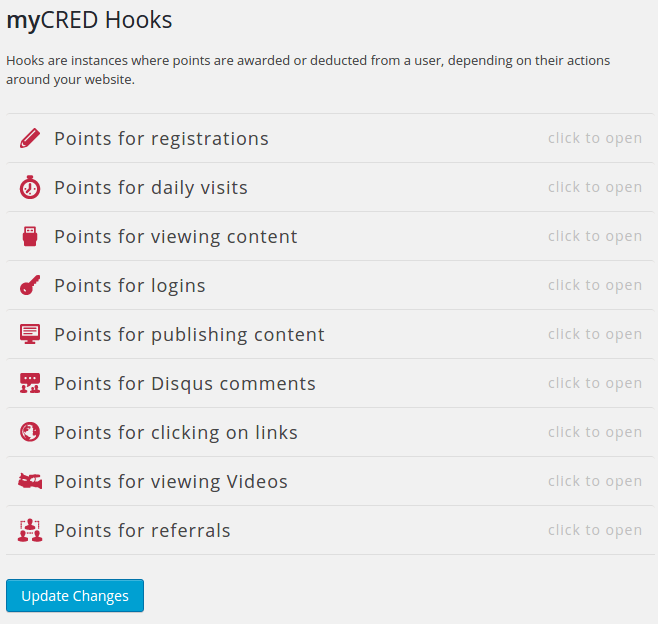 On the Hooks page, we can activate the points for various actions on the website. Each option has a check box to enable the awarding of points, and we can select how many points will be awarded. 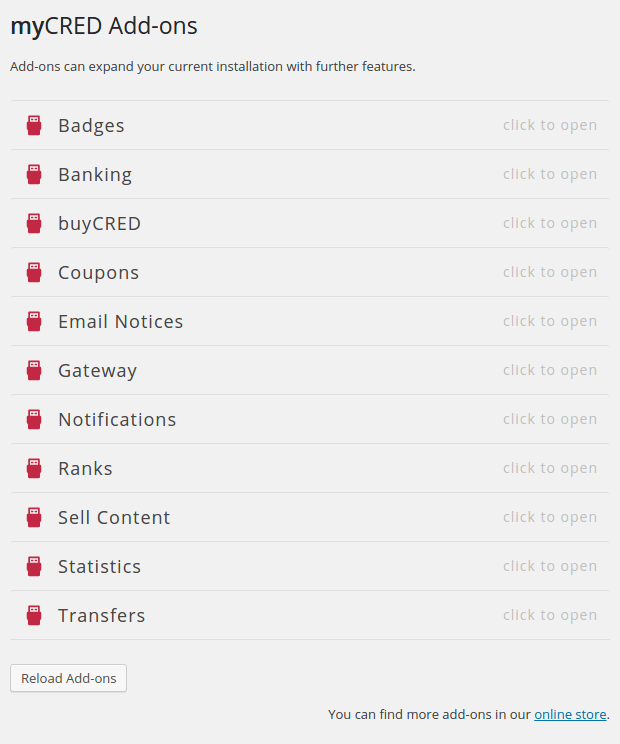 MyCRED also supports a system of Add-ons, that can add Badges and Ranks for our users, enable notifications and email notices, and more. We will even find add-ons that will allow our visitors to buy or transfer their points. Each registered visitor can view their points on their WordPress profile page on our site. 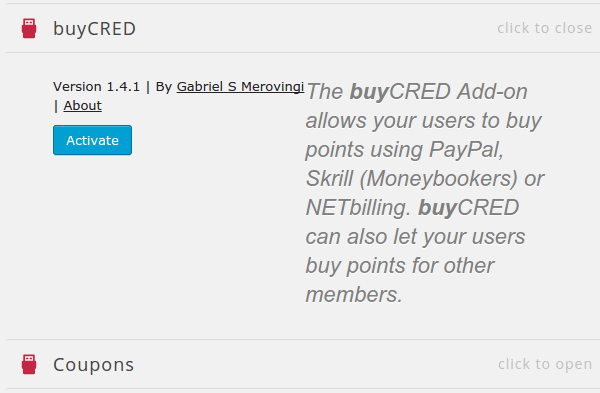 Make sure to visit the myCRED codex, where you will find tons on information about the plugin and its implementation, for your specific needs. Installing the gamification plugin is simple, but it is only the beginning. Creating a post that lets the visitors know about the new point system is essential, complete with all the possible ways they can earn points. It's also a good idea to create a little banner, on a sidebar or after each post, that will point to the "point system" post and explain it to new visitors. Then, there is going the extra mile, like running an advertisement pointing to the point system page, or doing a giveaway for whoever gathers the most points in a month. It won't happen overnight, but gamifying WordPress can increase our traffic, decrease the bounce rate, and help create a large and vibrant community around our site. If anything on the guide didn't work as described, and you weren't able to gamify WordPress for your site, leave us a comment.